Did you know that breakfast is the most important meal of the day? It is also my favorite meal of the day! Breakfast kick starts your metabolism. It gives your body energy to help focus on work or school. Breakfast foods are a good source of calcium, iron and B vitamins as well as fiber and protein. 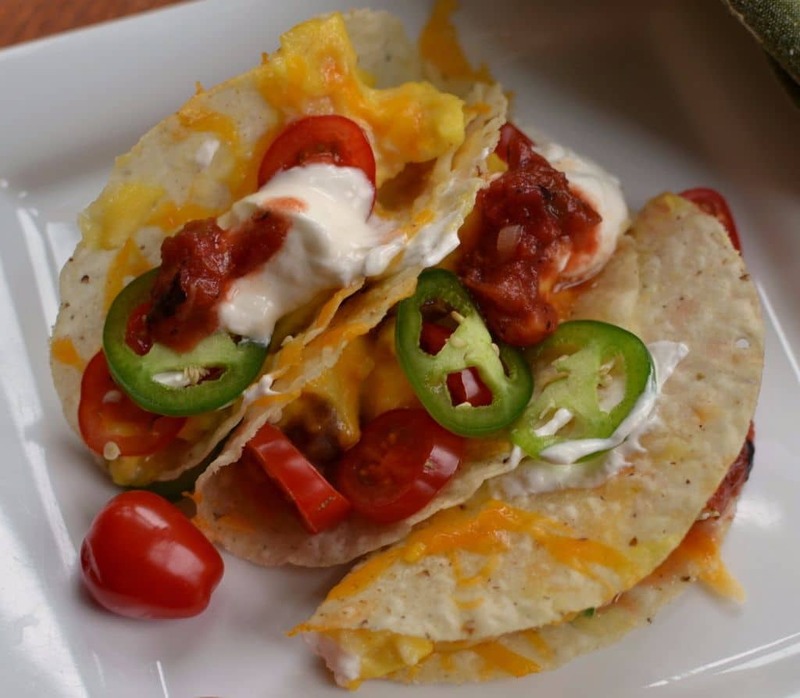 These Cheesy Breakfast Tacos will provide plenty of protein while deeply satisfying your taste buds. 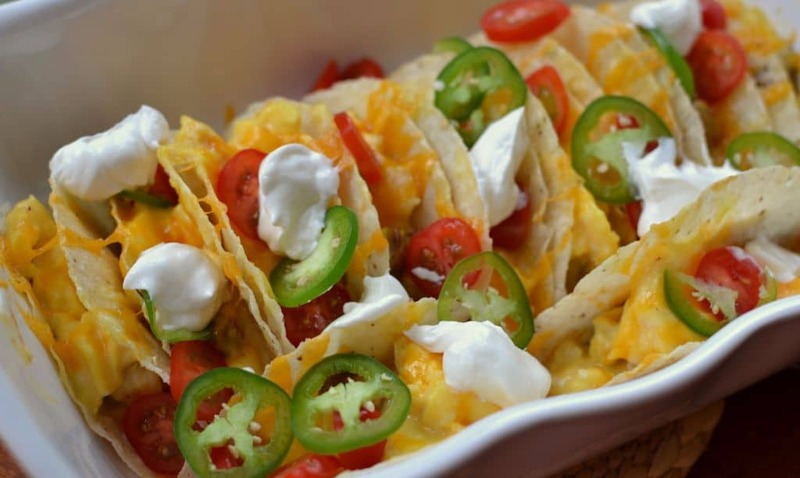 Precooking the taco shells helps keep them crunchy for the scrambled eggs, sausage and cheese. 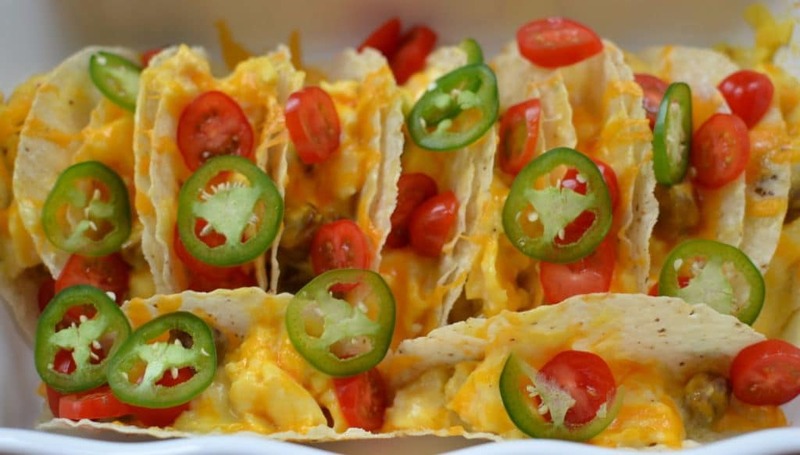 Topped with thin slices of jalapeno, tomato, sour cream and salsa. You could add black olives and shredded lettuce as well. So for Pete’s sake eat breakfast and enjoy every bite. If you don’t know what to fix check out my recipes. 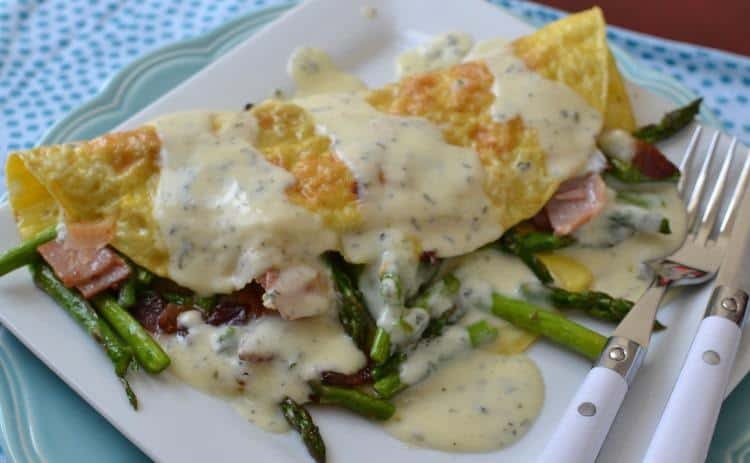 I have so many great breakfast recipes that you are bound to find one that tickles your fancy!! Preheat oven to 325 degrees. Lay taco shells in single layer on cookie sheet. Cook 7-8 minutes or until good and crispy and just starting to brown. Keep the oven on. . In medium bowl whisk eggs and water. In large nonstick skillet cook eggs over low heat. Using heat resistant spatula occasionally scrap the bottom of the pan to allow the uncooked eggs to flow to the bottom. Continue cooking until almost all the eggs are soft set. Add the sliced COOKED sausage and white American cheese. Continue cooking until the cheese is melted. Divide the egg mixture between the taco shells. Top with the shredded cheddar. Bake for 5-7 minutes or until the cheese is melted. Top with tomatoes, jalapenos, sour cream & salsa. Serve immediately. 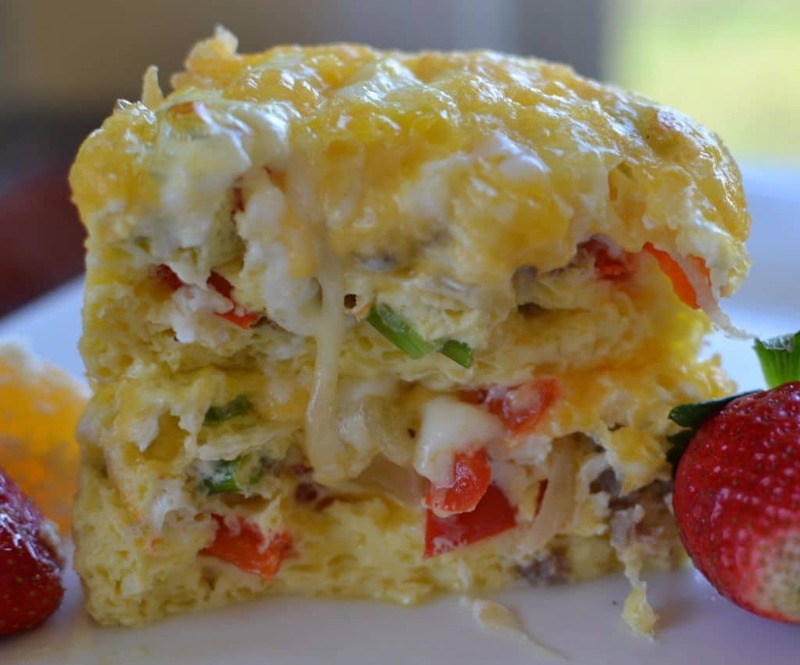 Other delicious breakfast recipes you WILL LOVE!